This is a walkthrough of a demo on pyBLoCXS and calibration uncertainties conducted at IACHEC 2014 on May 12 by Vinay Kashyap (CXC/CHASC/CfA). The demo complements the talk on strategies to deal with systematic calibration errors from earlier in the day. 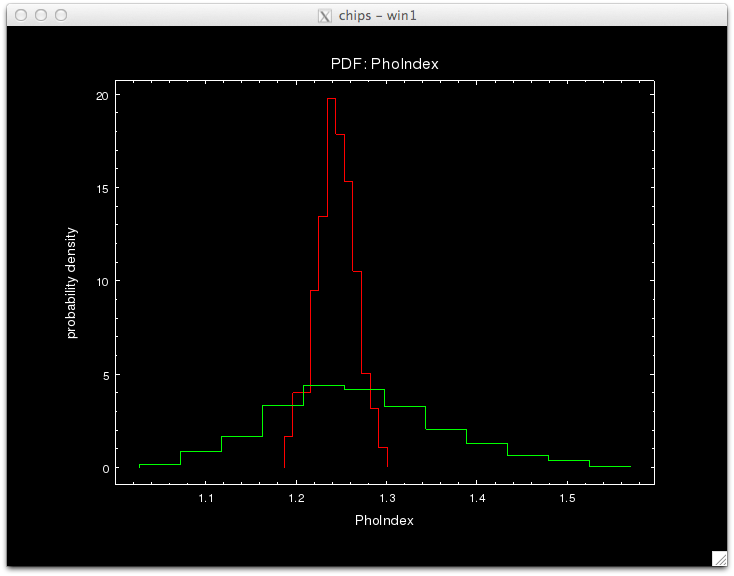 This document is split into multiple parts: the first gives details on the software and data that were used in the demo, and describes ways to get and install the necessary components; the second shows how to run the MCMC-based Bayesian spectral fitting algorithm (known as pyBLoCXS; van Dyk et al. 2001) in Sherpa; the third describes how to generate random sample curves of effective areas representative of known systematic errors using arfmunge; the fourth shows how to compress the resulting sample into a format that is flexible and portable, and which is currently implemented in Sherpa-pyBLoCXS; and the fifth shows how to carry out spectral analysis that includes calibration uncertainties. 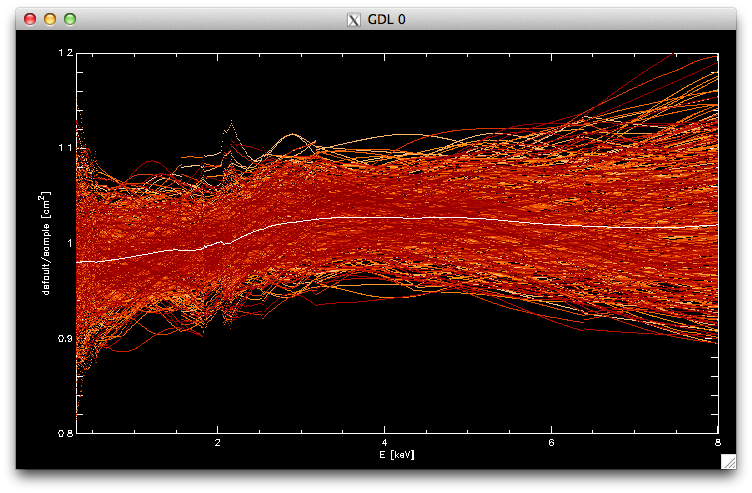 We will use an ACIS-S aimpoint observation of Quasar Q1127-145 (ObsID 866) throughout. 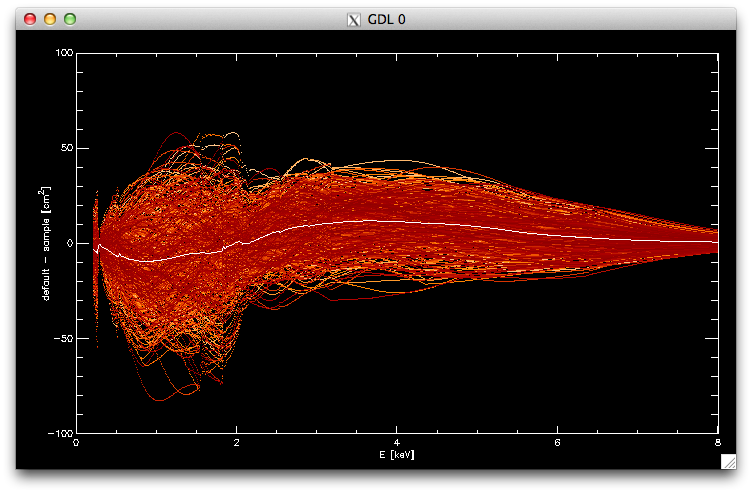 The source has >15000 counts, and should therefore be sensitive to calibration uncertainty. The data files are in a gzipped tar file. arfmunge is part of the MCcal package developed by Jeremy Drake (jdrake@cfa harvard edu) and Pete Ratzlaff (pratzlaff@cfa harvard edu). Please contact them directly to obtain a copy of the software. R is a free statistics package, available from www.r-project.org. 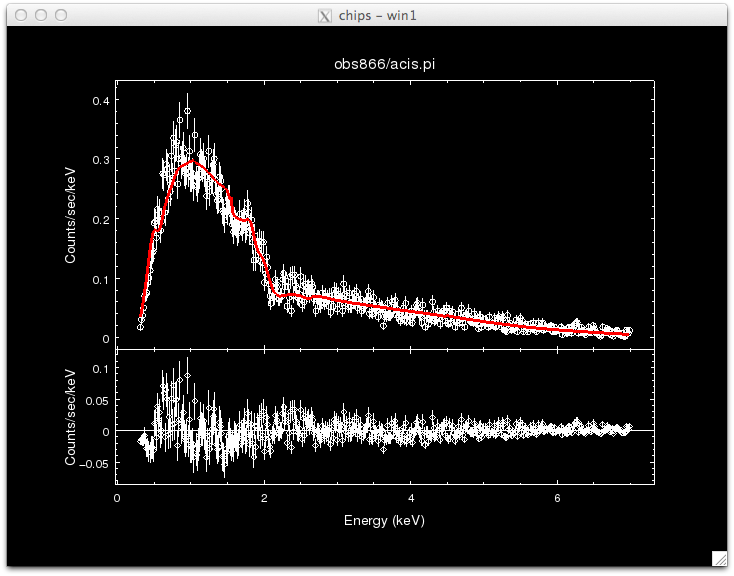 See hea-www.harvard.edu/AstroStat/Tutorial2014/ for a tutorial by Eric Feigelson on using R.
The scripts for making AREF files are writtin in IDL (www.exelisinc.com/solutions/IDL/Pages/default.aspx). They are also compatible with gdl (gnudatalanguage.sourceforge.net). In either case, they require that the IDLastro library (idlastro.gsfc.nasa.gov) be installed and its location be made available to the !PATH system variable. We will first demonstrate standard analysis. 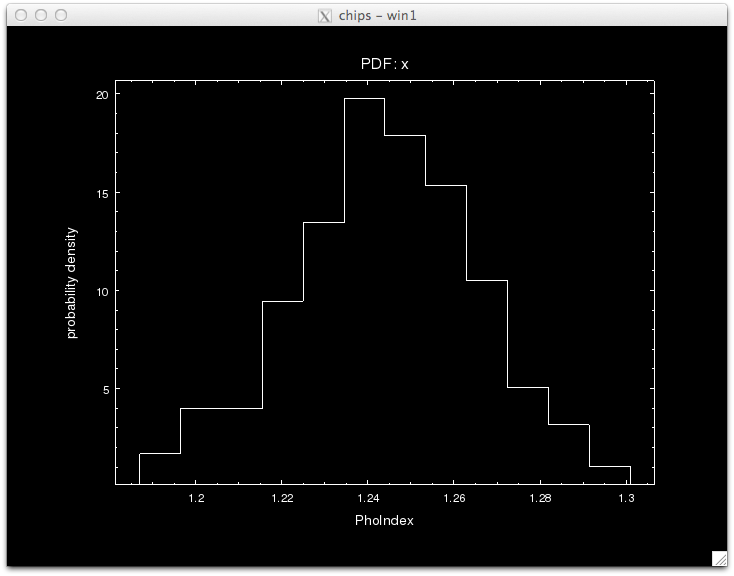 We will run a Sherpa fit, and then a Bayesian MCMC fit, and compare the results. Set up the fitting environment by fixing the energy range, setting up the source model, the fit statistic, and the fitting method. Ignore warnings about background not being subtracted. With cstat, backgrounds may not be subtracted and must instead be modeled. We will ignore this complication for this demo. Display the fit, to make sure it looks OK.
Get the confidence bounds for later comparison (this will take some time). That both conf() and covar() produce similar values for the confidence bounds suggests that the likelihood surface is well-behaved and nearly parabolic near the best-fit. Now, do a pyBLoCXS run. pyBLoCXS requires that a standard fit() and a covar() be run beforehand, so we can continue from where we stopped above. To run pyBLoCXS, we have to choose a sampler. There are four recognized currently in Sherpa, of which three are implemented. Notice that the call to pyBLoCXS is made through the function get_draws(), and it returns 3 outputs, the statistic value at each iteration, whether the draw was accepted or not, and the parameter values in the MCMC chain for each iteration, in that order. 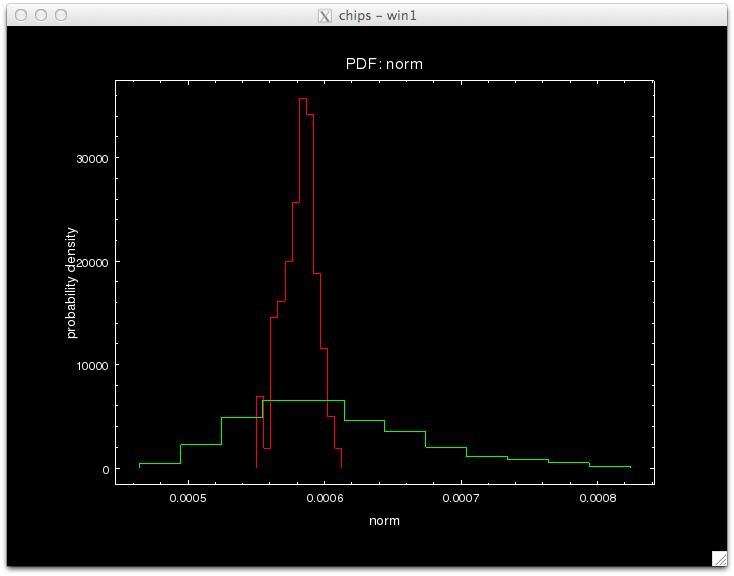 We can see see what the best-fit values are by finding the parameter values that correspond to the minimum statistic. which are very close to the best-fit values. 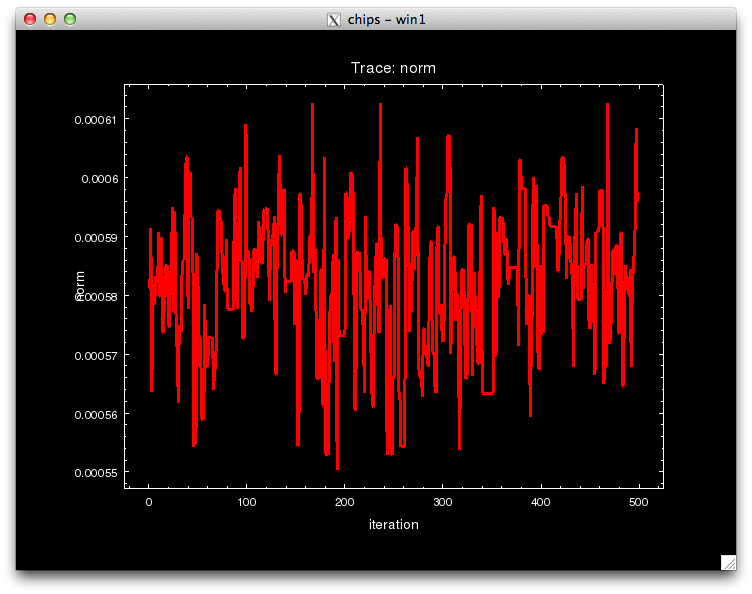 The error bars can be obtained as the standard deviations of the parameter traces. 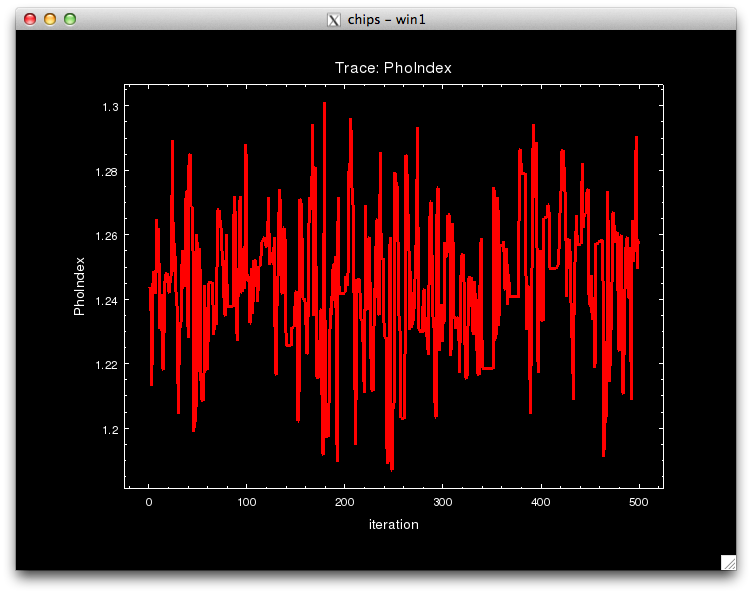 which are again very similar to the values derived with Sherpa. 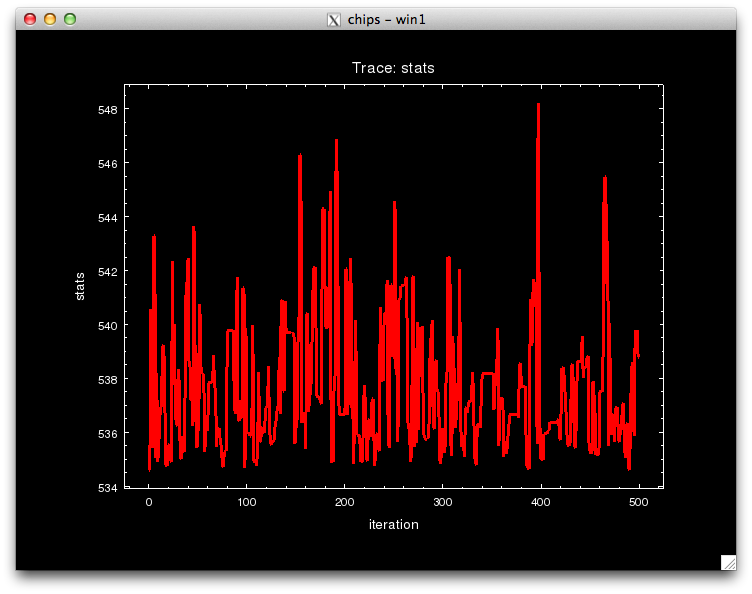 With all MCMC runs, it is a good idea to check that the traces look reasonable. 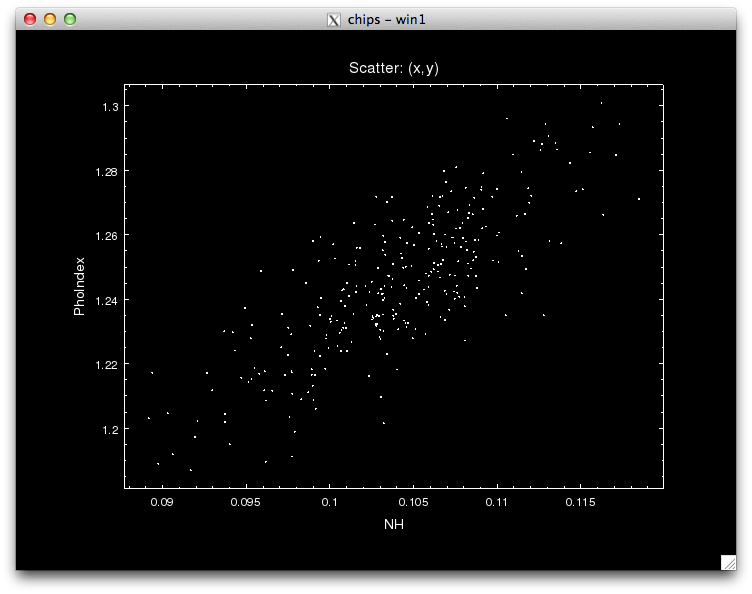 We can also make scatter plots of one variable against another. The first few hundred iterations must be discarded as the solutions burn-in. 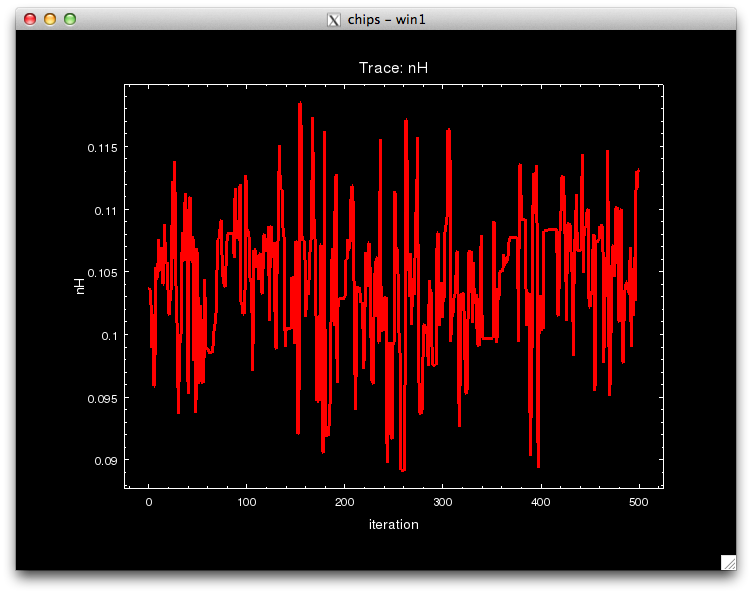 Parameter means and standard deviations computed from the later iterations are similar to previous calculations. The calibration library is a set of calibration products generated as random samples based on an uncertainty model of the instrument. Jeremy Drake and Pete Ratzlaff have devised a scheme where various subsystem uncertainties are put together to generate a representative sample of possible calibration products (see Drake et al. 2006) This scheme is implemented in a package called MCCal, which generates ARFs and RMFs and fits a specified spectral model to each realization. Please contact them if you wish to try it out. Here, we will consider only Chandra/ACIS-S effective areas, and use the program arfgen (part of MCCal) to generate 500 realizations of the ARF for the Q1127-145 dataset considered above. The ARF calibration library computed above needs to be ingested into pyBLoCXS in a flexible manner. To do this, we have devised a file format called AREF (Ancillary Response Error Format; Kashyap et al.\ 2008) that is a superset of the OGOP ARF format, and is designed to allow for a large variety of uncertainties to be encoded. These ARFs can also be consolidated and stored in a single file and used within pyBLoCXS. One of the AREF formats is a method called SIM1DADD. 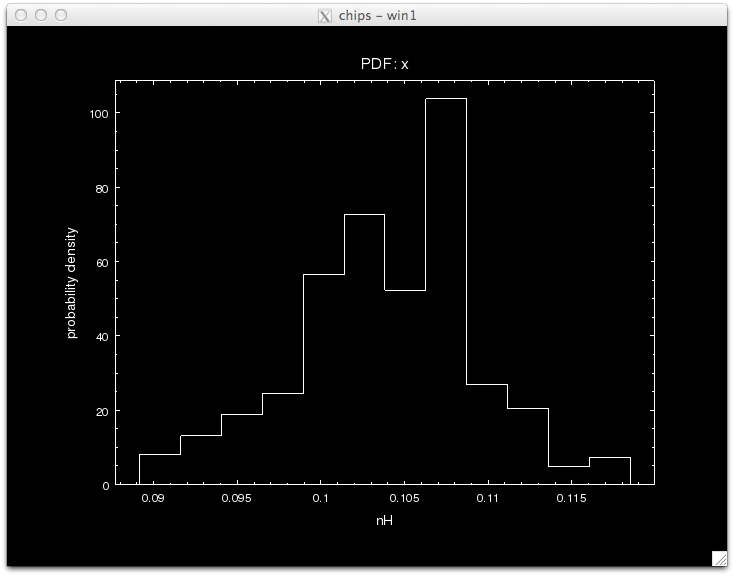 To construct it, use the IDL script samp2fits.pro, which produces the fits file 866_samp_aref.fits. Notice that 99% of the variability in the ARF library is accounted for with just 12 Principal Components (the 13th row in PCACOMP holds the residuals). Notice the simarf field. That needs to be set to the AREF filename. This takes a substantial amount of time to run, because the code is carrying out fits at every iteration. A faster, optimized version has been developed, but has not been migrated to Sherpa yet. 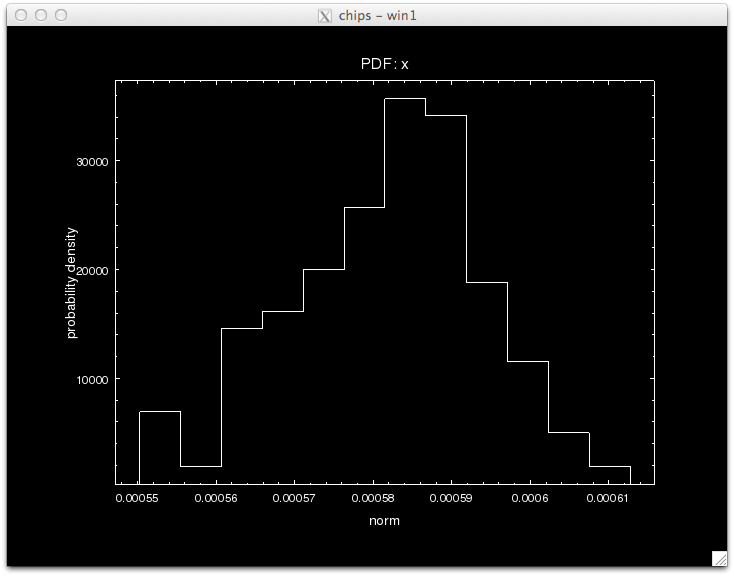 The new versioon also includes set_sampler('fullBayes'), and we plan to make it available in the near future via github. 2015-feb-18: updated link to Xu et al.